Tallgrass Energy LP and Kinder Morgan Inc. have agreed to jointly develop a solution to increase crude oil takeaway capacity in the Powder River and Denver-Julesburg basins. The companies will also add incremental capacity to the Williston Basin and portions of Western Canada. Pursuant to the agreement, announced Jan. 22, the proposed venture would include both existing and newly constructed assets. Tallgrass would contribute its Pony Express Pipeline System, and Kinder Morgan would contribute portions of its Wyoming Intrastate Co. and Cheyenne Plains Gas Pipeline and begin the process of abandonment and conversion to crude oil service. In addition, approximately 200 miles of new pipeline would be constructed to provide crude oil deliveries into Cushing, Oklahoma. In total, the combined pipeline system is expected to be capable of delivering up to 800,000 barrels per day (bpd) of light crude oil and 150,000 bpd of heavy crude oil from points in Wyoming and Colorado to Tallgrass Energy’s and Kinder Morgan’s Deeprock terminal in Cushing. 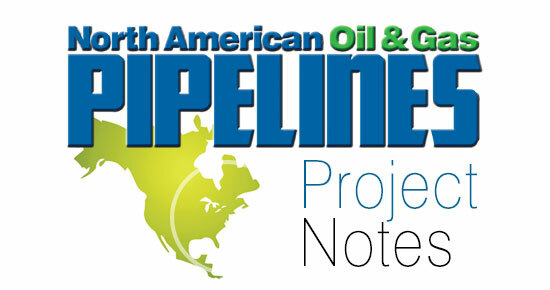 From there, customers will have pipeline connectivity to the Gulf Coast and export markets through Tallgrass Energy’s planned Seahorse Pipeline and other existing or proposed future pipeline projects. The combined project is expected to provide initial service as early as the second half of 2020. Completion of the transaction between Tallgrass and Kinder Morgan remains subject to conditions, including receipt of applicable state and federal regulatory approvals, among other items. In conjunction with the execution of the agreement, Tallgrass Energy extended its current Pony Express expansion and joint tariff open season with Seahorse to Feb. 28.